This coming Saturday, at the Queens Hall in Derby, Paul Peers is set to face Latvia’s Grigorijs Dunecs for the World Boxing League (WBL) and European Boxing League (EBL) European Super Lightweight Championships. Peers has been in sensational form since signing with Dan Gray’s Box Clever Promotional outfit in the summer of 2018. 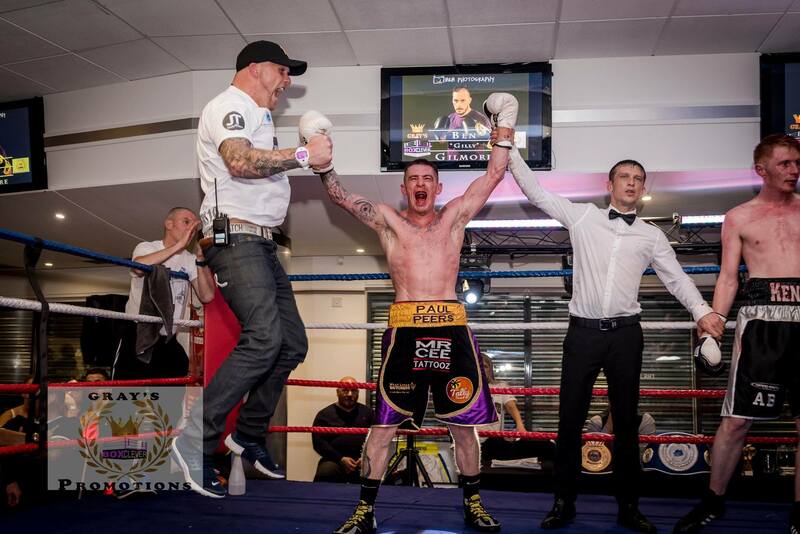 In September last year Peers secured his first Championship accolade, the Professional Boxing Council (PBC) English crown, following a seriously closely fought Magnitude 10 Battle Royale against fellow Liverpudlian Craig Kennerdale. The stress only easing after the cards were read – Judge Adrian Thorne 78-78 (Drawn), Judge Mark Wakefield 78-76 in favour of Peers and Judge James Ancliff 78-77, also in favour of Peers. Speaking from his new home in the Orkneys earlier Peers spoke briefly about his first Championship success. “What a fight, I knew Craig (Kennerdale) is as tough as they come and that I’d have to be right on my game, and I was. “These are the fights I want, seriously tough fights, because I want to test myself to the limit and against Craig that’s just what I got, a real test. “I know a little about Grigorijs style as he fought over here against Ross Doherty last year. He’s tough, seriously tough, which is just how I like them. “He likes to go toe-to-toe, so do I, so expect a war! “My camp has been perfect, and I can’t thank Steven Logie at Strength 101, Kirkwall for all the help with fitness and strength work, he’s done a brilliant job, I couldn’t have done this without him. “I am ready for this like no fight previously, I want those belts around my waist at the end of the night. “I’m not taking him lightly, definitely not, as I say I’ve seen him fight and know I will have a true battle on my hands come Saturday night, one I fully intend to win. Paul Peers versus Grigorijs Dunecs for the World Boxing League (WBL) and European Boxing League (EBL) European Super Lightweight Championships head up Daniel Gray’s Box Clever Promotions event at the Queens Hall, 125 London Road, Derby DE1 2QQ on Saturday the 6th April 2019. Unbeaten Leeds based battler Jack Jones is set to go toe-to-toe with Dean Porter from Essex and Sheffield Light Heavyweight Richard Grant makes his professional debut, plus six further contests. ← Two-Time World Champ Harrison Returns On 8th Dec – Faces Ghana’s Annan in Glasgow.